Membership in the Los Alamos Historical Society supports the museum campus, publications, exhibits, and the ongoing cataloging and preserving of artifacts. 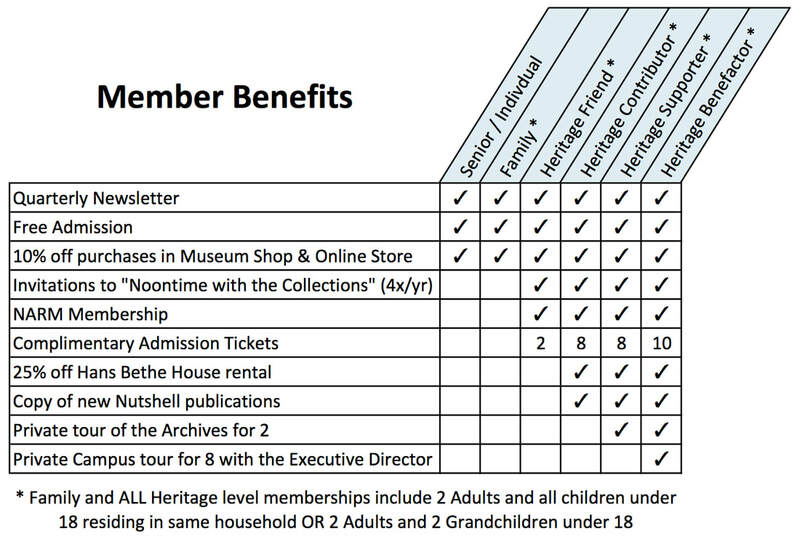 All Heritage Partner Levels include a membership to the North American Reciprocal Museum Association (NARM). This gives the card holder(s) free and discounted admission to over 950 museums in North America. To learn more about NARM benefits, visit their website. Click here to become a new member, or to renew your current membership.